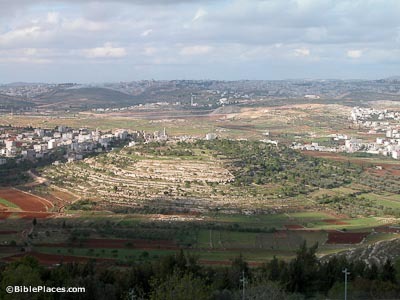 The Arab village of el-Jib sits on the north side of the hill and preserves the biblical name of the city inhabited by the Gibeonites. These people tricked Joshua into making a treaty with them; later the Israelites would be forced to defend their ill-made ally and in the process would defeat a five-king Canaanite coalition. The city of Gibeon sits on the west side of the Central Benjamin Plateau. 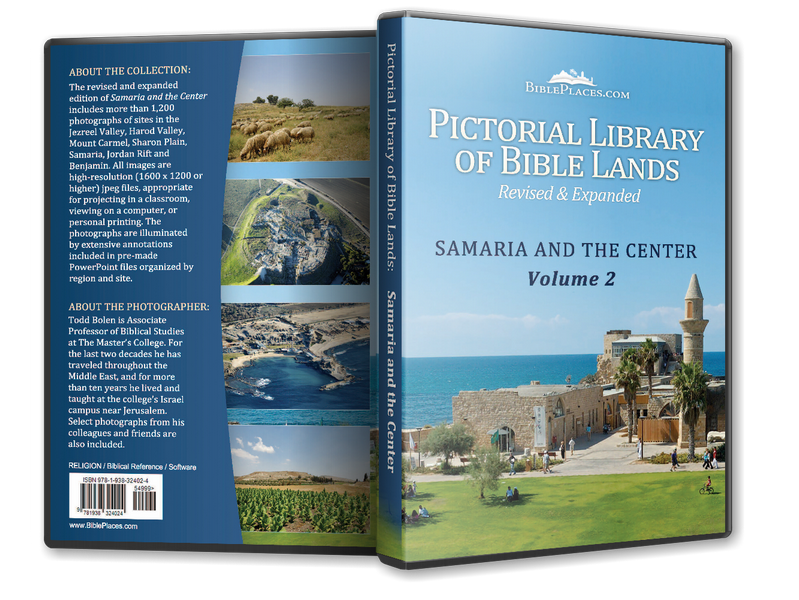 Excavated by James Pritchard 1956-62, Gibeon has significant remains especially from the days of the Israelites. Impressive among these finds are 63 wine cellars from the 8th-7th centuries BC. These cellars were bottle-shaped and about 6 feet deep and 6 feet in diameter at the bottom. It is estimated that 19,000 gallons of wine could have been stored in 9 gallon jugs in these cellars. Two water systems have been excavated at Gibeon. The dating of both is difficult and disputed, but both were probably operational in the Iron II period. The stepped tunnel had 93 steps leading to the spring. The cylindrical shaft is 40 feet in diameter and 35 feet deep and accessed the water table. 3000 tons of limestone were removed by the excavators to reveal the system. 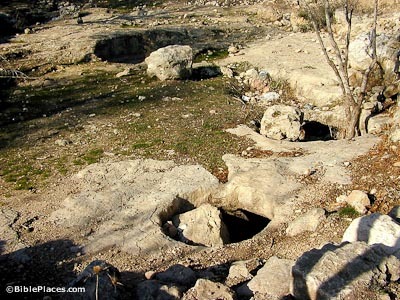 The Bible references the “pool of Gibeon” several times. Apparently this was a prominent landmark in the city. 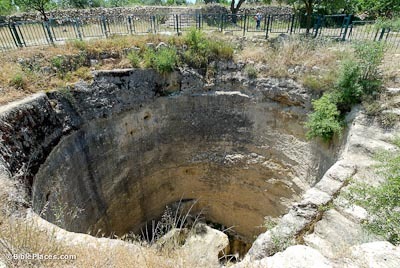 On one occasion a deadly battle between David’s men and Abner’s men took place at this pool (2 Sam 2). 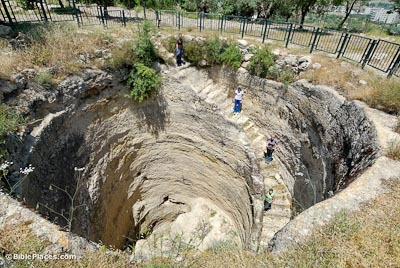 Some believe that the cylindrical water shaft is to be identified with this biblical place, while others hold that the shaft was constructed later than the 10th century.